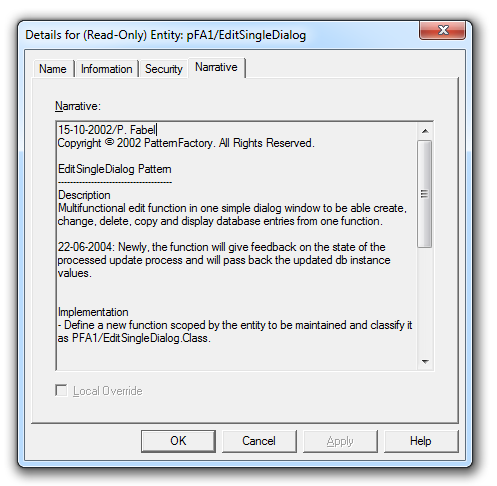 This document describes the standards to be used when developing patterns for the PatternFactory share platform. to be complete and are subject to change. should be optimized and compact without unnecessary instructions (no overhead). Keep the group models as small, flexible and independent as possible by using a separate group model for each pattern. Avoid using Foundation class objects. Rather go back to the origin of the pattern library objects to be more independent and flexible. Hold all necessary class objects together by scoping them by a container entity. Exceptions are objects which cannot be scoped (variables, names). Give this container object a meaningful and unique name, describing and identifying the pattern as a whole. Group model names may be treated flexibly. For this reason any name may be used. We might rename the group model name (directory) after acceptance to avoid name conflicts and match the PatternFactory naming standards for patterns. All the more it is important that you use a clearly understandable container name. If your pattern library consists of several sub classes, build a container entity for each of them and scope them all by one superordinate container entity. We expect your code be clearly arranged and to conform to the structured programming rules. Put your detail code into subroutines. 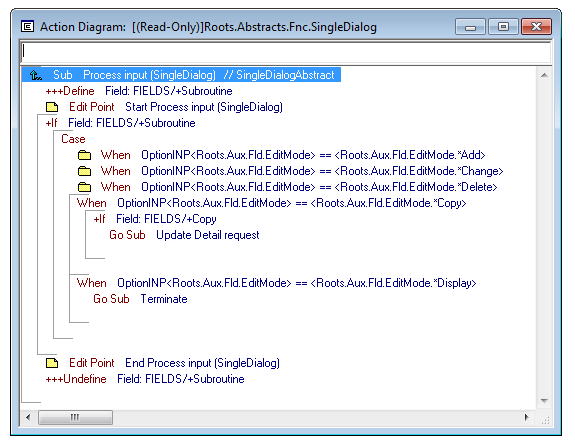 Append the fully scoped function name in brackets at the end of your own subroutine names. Makes it very useful when merging functions by multiple inheritance to see the origin of every subroutine. Append the fully scoped function name in brackets at the end of your own edit point names. This way in the local modification view and in the edit point dialog of the AD Editor you always know immediately where the edit point is located. Place your subroutines in Pre Point Subroutines. This way the Post Point Subroutines stays free for any user amendment and thus stays easier to navigate. Avoid unnecessary generated code by using meta conditioning where ever you can. Document all your code and have a modification log at the beginning. Append the fully scoped function name in Brackets at the end of the text, so the origin can be found out. To keep things compact, tidy and easy to maintain, we chose to use the Plex model narratives facility to document the patterns. Enter your documentation into the narratives of the class container entity. Implementation rules, detailing the steps to take to achieve the requested application object. 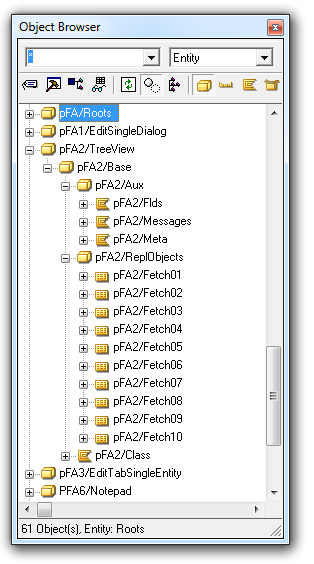 Pack the contents of your group model directory into a zip file. The subdirectories \Backup and \Locks are not necessary to be delivered and for this reason may be omitted.